There is no better way to keep up on what's new in The Lutheran Church—Missouri Synod. The flagship magazine of the LCMS, The Lutheran Witness offers synodical news, reports from Lutherans around the world, features, columns, Q&A's, a Bible study, and so much more. This is the premier magazine for Lutherans who want to be informed and stay informed! 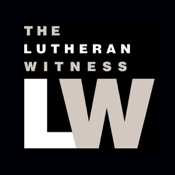 A monthly publication, The Lutheran Witness speaks directly about what's important to today's Lutherans: Christian life, missions and ministries, and people of faith.